COMPLETELY FURNISHED adorable Home in the Heart of the GAS LAMP District. Owner spared no expense in furnishing this stunning condo featuring a $5,000 + custom CAL KING BED from SPACES of San Diego, Washer/Dryer to linens & kitchenware! Just bring your toothbrush! Located in the most Prime location in the building, facing inner courtyard & pool area so is quieter than properties facing outward to Gas Lamp District nightlife noise . New paint, new carpet, RARE PRIVATE PATIO & Secure assigned parking space. LOCATION-LOCATION-LOCATION!!! 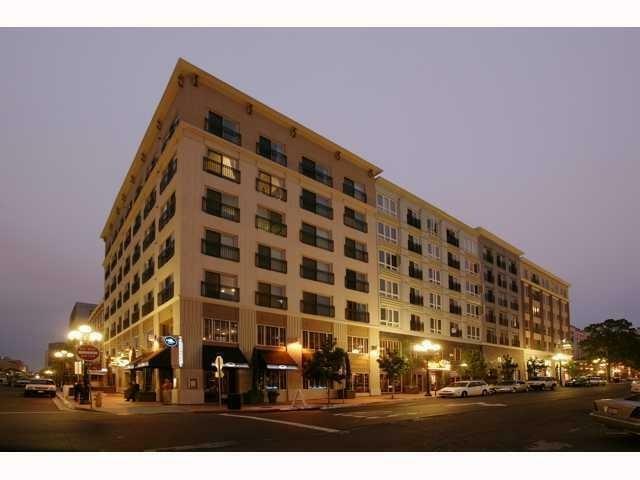 Upbeat urban living.....Walk to everything that the Gas Lamp District has to offer, The Embarcadero, Petco Park, Horton Plaza, 100's of restaurants, the Symphony, live Theatre and only 2 blocks to the trolley line. Gaslamp City Square offers street-level shops, secure entry, a fully landscaped interior courtyard, outdoor sundeck, pool and spa and an onsite - convenient fitness center. This exciting neighborhood provides every amenity imaginable. Perfect for those seeking that special Pied-ÃƒÂ -terre in the Heart of America's Finest City!